A Season of Breakthroughs… with Tribulation, Intense Blessings…and Pain. We are going through a time which is both “in season” and “out of season” at the same time. On one hand, our various ministries are expanding both in breadth and in depth, which I will share more about in this update. On the other hand, Cambodia is going through its hot/dry season now so daily blackouts of up to six hours nationwide (so far, by God’s grace, we’ve been spared from most of these), highs around 99F, running water cuts and shortages, sicknesses, exhaustion, car repairs, and serious upcoming financial needs, mean that we must choose to keep our eyes on Christ and not the many storms around us as we walk by faith. Darryl will finish teaching the Leadership and Christian Apologetics Training Course the end of March. The Pastor wants him to teach more in the future but given the “seasonal challenges” mentioned above, we are not sure whether these trainings will be done before our visit to the USA this summer or in the fall, after we return to Cambodia. Darryl with Pastor Phanet (right) and Apologetics/Leadership students at Kingsway Church. 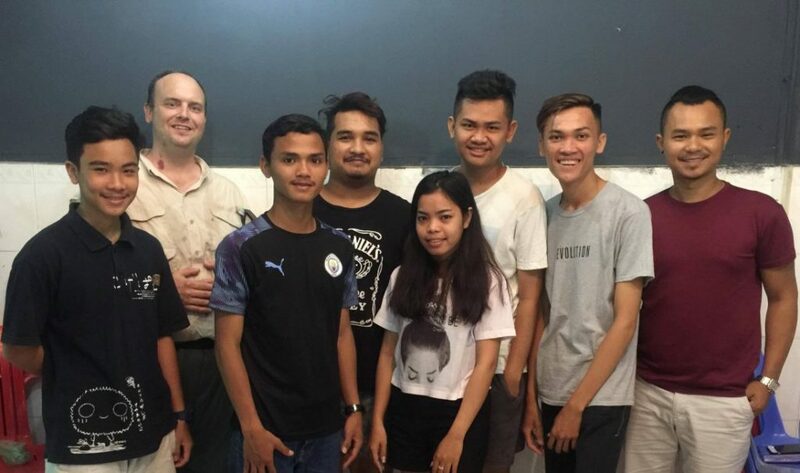 Darryl will also start teaching Christian Apologetics classes again at the Cambodia Presbyterian Theological Institute between the end of March and the middle of June. We will be spending some time in the USA this summer between June 20 and August 6. We will be mainly in the LA/Orange County areas of California. We need to take care of some banking needs and to reconnect with our senders and relatives in the US since we have been out of the USA for two years. Please also pray that God will open doors for us to connect with more regular financial partners. Up until now, Kayo’s parents in Japan have been sponsoring Benjamin’s Christian school tuition. This has been a huge blessing, even though they are not Christians (yet). They are retiring soon and so we need around $600 additional each month to cover the financial gap starting this fall. We have additional financial needs beyond this, but this is just the most urgent. 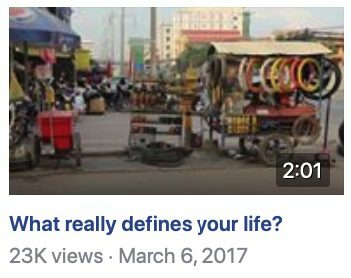 Darryl continues to write apologetics/evangelistic articles and help with English editing for Light Times Magazine, the only Christian magazine in Cambodia. Because it is a magazine, non-Christians are much more willing to receive and read it than they would be to receive and read a tract. Recently the format has changed to focus on readers younger college and career age readers. Below is a Facebook post from Soksan, LT’s founder. The missionary from India told Darryl that when he was in Bible School in Bangalore, India that one of his textbooks was, Christianity: Reasons for Faith which Darryl co-authored a few years ago! It remains a mystery how the book moved from Cambodia to India. 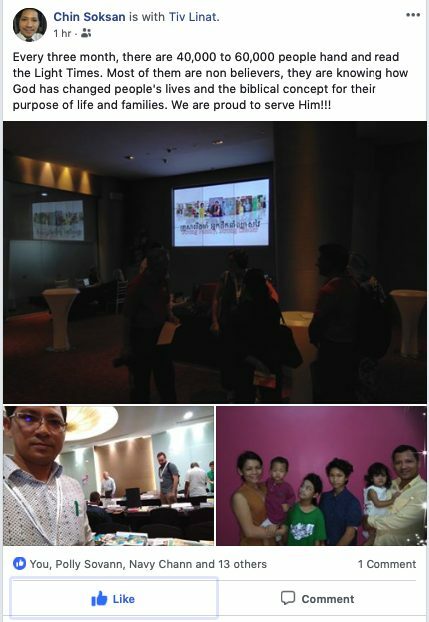 Darryl continues to work to encourage, equip, and partner with Christians from Ch!n@ and P@k!$t@n who have been forced to move to Cambodia for religious freedom. Because of the freedom here in Cambodia, we are planning to develop Christian materials here in their own languages and then send them back to their homelands via social media and underground methods. 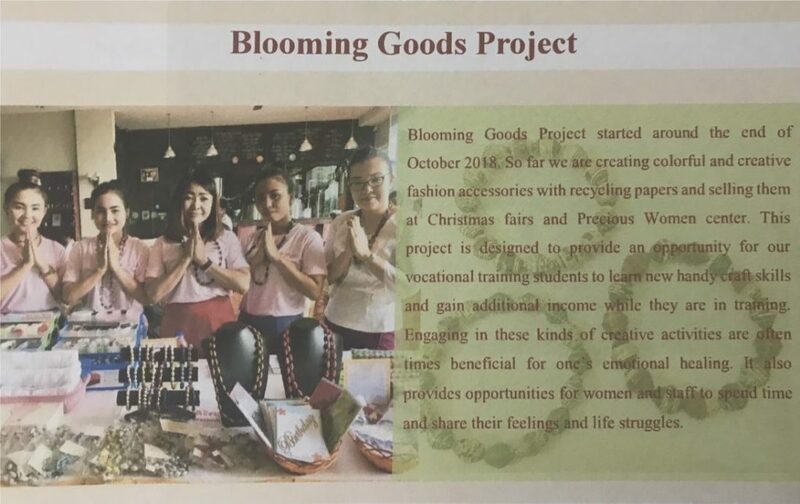 Precious Women Organization helps poor women who work in the “night-time entertainment” industry to learn new skills for better careers and Christ’s love. Kayo also continues to minister to Japanese missionaries and workers in Cambodia who are currently struggling with environmental challenges mentioned above and also have greater difficulty communicating with Cambodians because of language barriers. Kayo is also involved in helping the international church’s worship team learn and use new administrative software. This is even more more urgent because the main worship leader had a stroke yesterday.